WILMINGTON, Del.--(BUSINESS WIRE)--Incyte Corporation (Nasdaq:INCY) and Cancer Support Community Delaware (CSCDE) today announced the establishment of the Incyte Cancer Care Assistance Fund for Delaware which will provide emergency financial assistance for cancer patients, their caregivers and family members living in Delaware. Through the Incyte Charitable Giving Foundation, Incyte has committed to providing a maximum of $100,000 each year to CSCDE over the next 5 years, beginning in 2018. The fund will be administered by Cancer Support Community Delaware. Additional details about the Incyte Cancer Care Assistance Fund for Delaware will be made available in January 2018. “Through the establishment of this fund, we aim to address the emergent needs that patients with cancer in Delaware face as they navigate their disease and its impact across all aspects of their lives,” said Nicole Topkis Pickles, Executive Director of Cancer Support Community Delaware. The mission of Cancer Support Community Delaware is to ensure that all people impacted by cancer are empowered by knowledge, strengthened by action and sustained by community. Through participation in professionally led support groups, educational workshops and mind/body classes, people affected by cancer learn vital skills that enable them to regain control, reduce isolation and restore hope regardless of the stage of disease. At Cancer Support Community Delaware, all programs are at no cost to cancer patients, caregivers and family members. More information about Cancer Support Community Delaware is available at www.cancersupportdelaware.org. The Incyte Charitable Giving Foundation, part of Incyte Involved, the Company’s philanthropic and employee and community engagement program, provides charitable donations to publicly funded 501(c) (3) tax-exempt nonprofit organizations specifically serving the needs of communities in Delaware focused on two areas—Oncology Patient Support and Resources and Community Partnerships. More information regarding Incyte Involved and the Incyte Charitable Giving Foundation, including the application process, funding guidelines, important information for applicants and quarterly submissions calendar, can be found here. Incyte Corporation is a Wilmington, Delaware-based biopharmaceutical company focused on the discovery, development and commercialization of proprietary therapeutics. 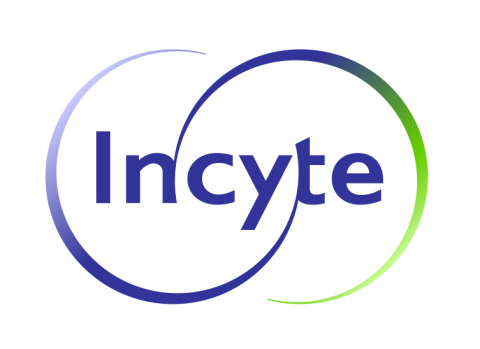 For additional information on Incyte, please visit the Company’s website. Follow @Incyte on Twitter. Except for the historical information set forth herein, the matters set forth in this press release, including statements regarding the expectations for, and the focus of, the Incyte Charitable Giving Foundation, contain predictions, estimates and other forward-looking statements. These forward-looking statements are based on the Company’s current expectations and subject to risks and uncertainties that may cause actual results to differ materially, including, without limitation those risks detailed from time to time in the Incyte’s reports filed with the Securities and Exchange Commission, including its Form 10-Q for the quarter ended June 30, 2017. Incyte disclaims any intent or obligation to update these forward-looking statements.